VBS Probiotic syringes provide an easy, simple and rapidly administered probiotic paste for use in cases of digestive upset, diarrhoea and to help support normal gut function. 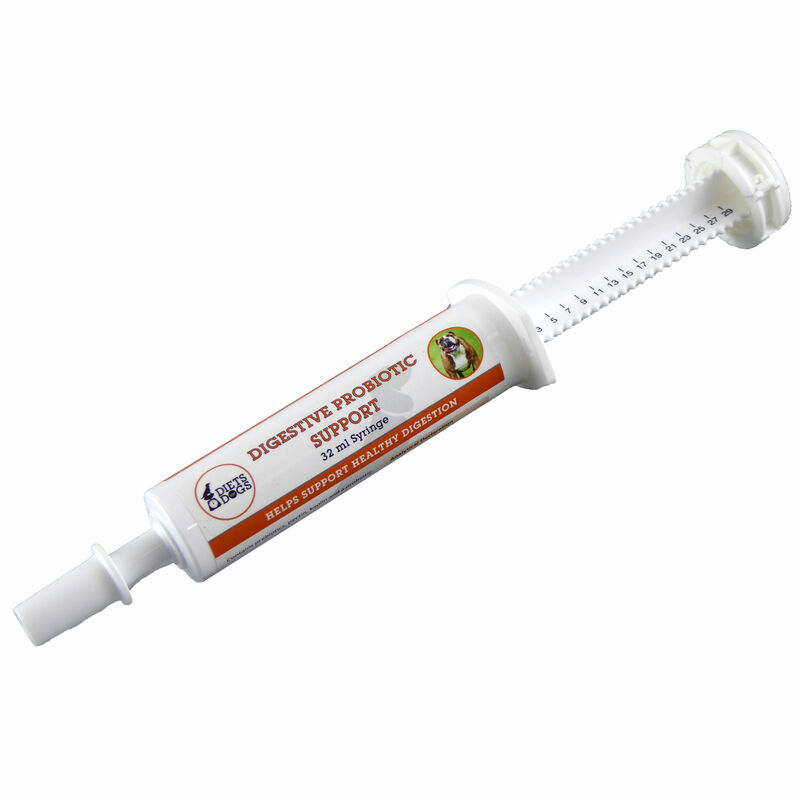 Each syringe has a simple measurement dial to easily administer the correct oral dosage, and the palatable flavour of the paste makes it easily accepted by most pets. Probiotics – Live EU legal microbial organisms which maintain a high-level of beneficial gut bacteria, balance micro-organisms in the intestinal tract and combat overgrowth of bacteria.